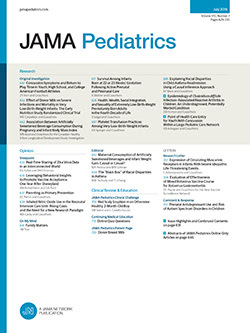 • Thirty-six children identified as having primary type IIa hypercholesterolemia were treated with a diet restricting the intake of saturated fat to 10% of total energy and supplemented with soluble fiber for 8.1 ± 2.4 (mean ± SEM) months. In 14 of 36 patients first treated with the American Heart Association "Step-One" diet for 8.0 ±1.1 months, total cholesterol level dropped from 257.9 ±15.8 mg/dL to 240.6 ± 10.9 mg/dL; the low-density lipoprotein cholesterol level dropped from 191.8 ±17.4 mg/dL to 175.0 ± 11.7 mg/dL; the high-density lipoprotein cholesterol level dropped from 42.8 ± 1.94 mg/dL to 41.6 ±1.68 mg/dL; and triglyceride concentration rose from 115.9 ±13.7 mg/dL to 128.1 ±14.1 mg/dL. The 36 patients treated with saturated fat–restrictive diets and supplemental soluble fiber diets had a reduction of total cholesterol levels from 249.2 ±7.66 mg/dL to 207.1 ±6.31 mg/dL and a low-density lipoprotein cholesterol level reduction from 184.7 ± 7.55 mg/dL to 142.6 ±6.7 mg/dL, a reduction of 18% and 23%, respectively. There was no significant change in high-density lipoprotein cholesterol levels (46.4 ±1.9 mg/dL vs 44.3 ±2.1 mg/dL) or in triglyceride concentrations (94.2 ±7.43 mg/dL vs 102.2 ± 8.45 mg/dL). In addition, the reduction in serum lipoprotein concentrations resulting from this program was significantly greater than the concentrations resulting from the American Heart Association diet alone. The different responses to these regimens suggest that a simplified diet and soluble fiber supplementation is well tolerated and reduces total and low-density lipoprotein cholesterol levels more effectively than the standard American Heart Association diet in children.